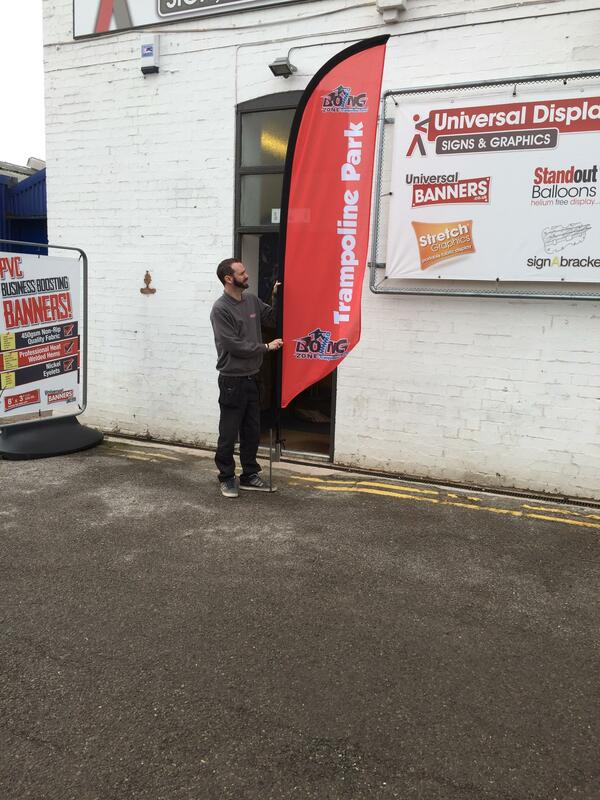 Universal Marketing flags are easy to assemble. Just attach the poles together, slide the flag down over the pole, and place into its base. 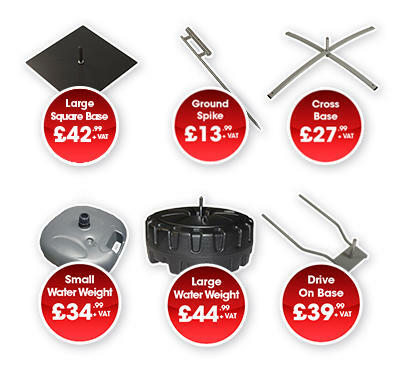 We have a great selection of bases available for every situation. Your feather flag can be setup, taken down, fast! 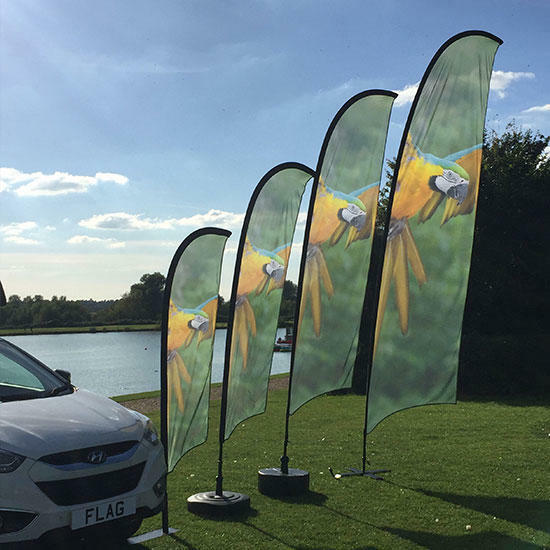 Cutting-edge digital printing methods mean that every flag is water-base digitally DYE printed and manufactured to the highest standard, with sharp colour matching and vibrancy. 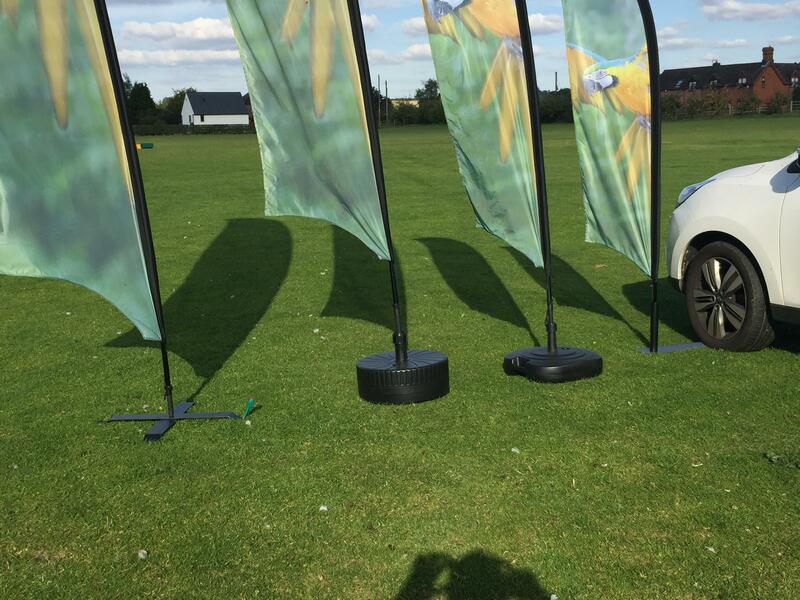 To ensure customer satisfaction we offer the Teardrop and Feather flag kit with a wide range of bases, including a small and large water base, cross base, drive on base and ground stake for softer ground. 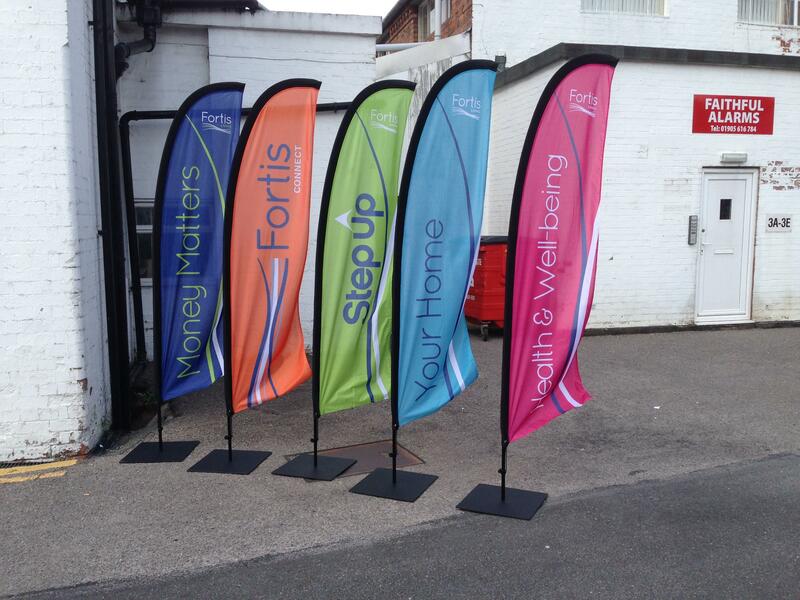 Our flags are made from polyester, which is designed to be long-lasting and is made for year-round use. Some people call feather flags “Sail Flags” meaning that they can stand up to both wind, and rain. When it comes to designing your flag, you can let your imagination go, and customise your flag exactly how you want. We offer our own in-house custom design service. Advertising flags use vertical space. You advertise with just a foot or two of space. 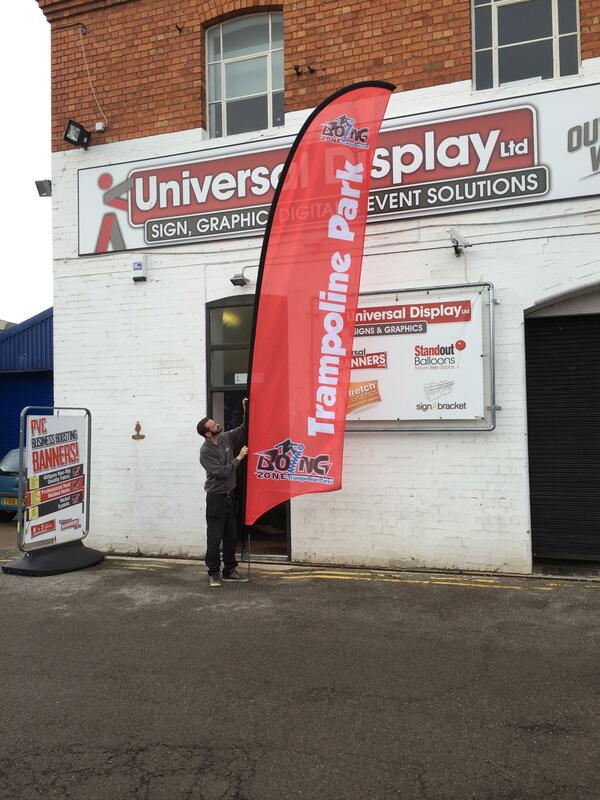 If you’re in a crowded business park or shopping centre, you can use your advertising flag to make sure you get noticed for the right reasons.